The "Cement" Revision is exactly what it says.....the entire implant is "made of cement", not cemented into place. They either put this cemented one in which is treated with antibiotics or else nothing at all......I was glad Philadelphia put something in temporarily. It was in for 10 weeks. I had intravenous antibiotics for 6 weeks and oral antibiotics for 4 weeks while it was in. I was not allowed to apply full weight on it and was on a walker & crutches the entire time. He never said but I don't think they put a cup back in until the permanent revision (I don't see one). Temporary Cement Revision July 2000 which was temporarily put in until the infection was healed. 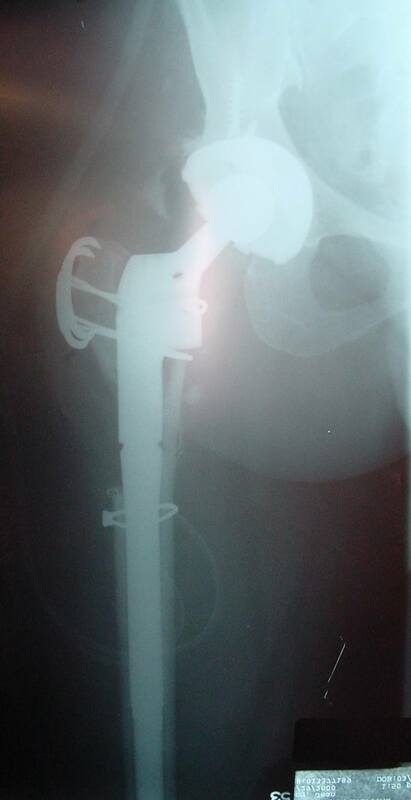 My Hip Revision September 29, 2000. If you take note you can see where they broke the bone. There is a "notch" where the bottom ring fell into the crack of the fracture. The entire bone from that area to the top was broke off. Neither revision was cemented in. My hip problems were due to Perthese Disease as a child. I will be 52 years old in March. Forgot to say they are of my "left" hip.........thanks. 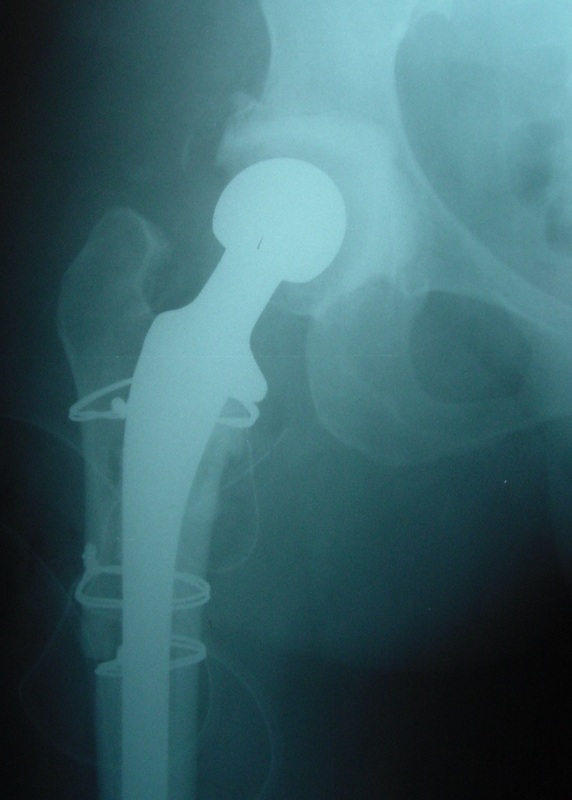 They also "had to" break my initial hip replacement (from 1994) to get it out.